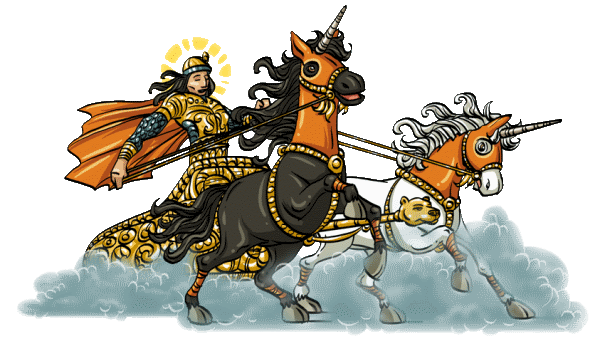 "Shinraka the Charioteer, known to some as Shinraka the Messenger, is in possession of a wonderful golden chariot and a pair of magnificent horses. He loves to travel the sky, it is his passion, his greatest joy." Shinraka is one of the LostHero Gods who will take you to some of the locations. The location is indicated on the overall map with this icon .